Agrobacteria tumefaciens is a rod shaped motile bacteria that lives in the soil. It has flagella that allows the bacteria to swim through moisture films in soils and plants. It causes ugly cankers called crown galls which causes reduced production and eventually death of the plant. The Bacteria transfers part of its DNA to the plant and the DNA integrates into plants' genome, genetically transforming target cell, causing tumors and associated changes in plants' metabolism. 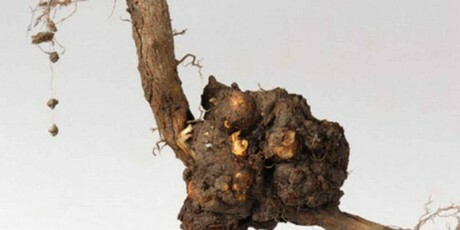 Agrobacterium initially starts as small swellings on wounded plant's parts. Young tumors are soft, creamy white and rounded. The shape becomes irregular with age and may turn brown or black. Several tumors may occur on the same plant and rot from the surface of the plant completely or partially, possibly developing repeatedly in the same area season after season. Other symptoms may include, stunted growth, Chlorotic leaves and plants may be more susceptible to environmental conditions and secondary infections. Many farms in Kenya are infected with agrobacterium. Growers are advised to reduce plant wounding as much as possible, source clean plants materials from responsible breeders and propagators. This ensures agrobacterium free plants. 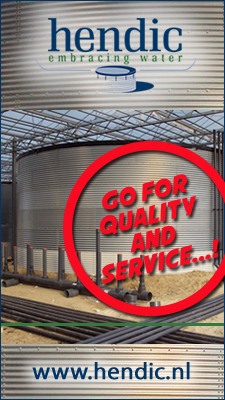 It’s also important to check bud-wood before deciding on a variety, use clean media, sterilize farm equipment, avoid movement from infected to clean greenhouses, observe strict hygiene during cultural practices such as pruning, bending, always disinfect. These are some of the cultural ways to avoid and manage Agrobacterium. Proper climate control of the greenhouse is also very important as a hot dry greenhouse may lead to stressed plants which eventually leads to lots of galls.